Oh dear, we don't seem to have any tickets for Glenn Miller Orchestra during December 1999, but don't despair just yet. Use the dropdown above to select another month where we DO have tickets available for this show. If your dates are fixed then please call us on 844-483-9008 as we may be able to help find tickets for you. 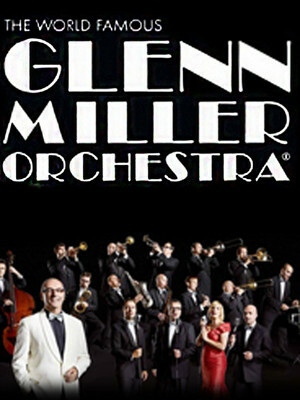 Please note: The term Town Hall Theater and/or Glenn Miller Orchestra as well as all associated graphics, logos, and/or other trademarks, tradenames or copyrights are the property of the Town Hall Theater and/or Glenn Miller Orchestra and are used herein for factual descriptive purposes only. We are in no way associated with or authorized by the Town Hall Theater and/or Glenn Miller Orchestra and neither that entity nor any of its affiliates have licensed or endorsed us to sell tickets, goods and or services in conjunction with their events.